Clarion Gaming has confirmed the closing date for start-up businesses to submit their entries to the LaunchPad competition, which forms the centrepiece of the inaugural ICE North America (May 13-15, Boston, MA, USA), will be Friday, April 12, 2019. As the North American gaming landscape continues to expand in the wake of recent regulatory changes, the scope of LaunchPad will be larger than ever, marking the first occasion where sports betting start-ups will be eligible to pitch alongside businesses from interactive gaming, esports, iLottery and the affiliate space as this year’s participants aim to follow in the footsteps of previous winners, which include BlueBat Games, Bookee, NumberFire, nQube and Tangleo Games. The initiative puts enterprising start-ups in front of investor judges and senior gaming executives from across the interactive gaming spectrum and this year’s panel of ICE VOX North America LaunchPad MVPs will be moderated by Melissa Blau, Director, iGaming Capital alongside: Seth Berger, Managing Director, Sixers Innovation Lab; Evan Hoff, Partner, Velo Capital Partners; Wayne Kimmel, Managing Director, SeventySix Capital, and Robert Montgomery, CEO, First Maximilian Associate. 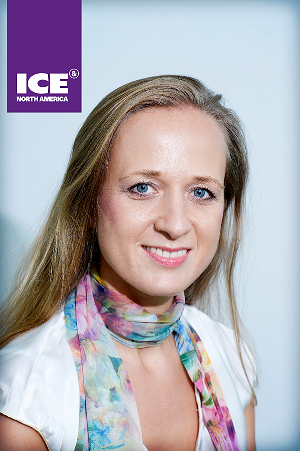 Clarion Gaming’s Director of Industry Insight and Engagement Ewa Bakun, who is responsible for this key feature which will form part of the ICE North America experience, said: “The ICE North America LaunchPad provides start-ups with an elevated position to enter the North American sports betting and interactive gaming markets, whilst also allowing gambling executives and casinos to experience the latest trends and preserve a foothold in a wider consumer entertainment offering across the region. With so much expansion taking place in the market and the possibilities continuing to grow in the wake of last year’s SCOTUS ruling, opening the door for sports betting start-ups is set to make for one of the most pioneering and compelling LaunchPad competitions yet." She added: "Getting exposure and obtaining funding is difficult for many organisations, but even more so for start-ups who want to be in the gambling space. LaunchPad is a great way for new companies to promote their innovations and to get some traction. ICE North America, which is building on the reputation of ICE and the success of the Casino eSport Conference, GiGse and Sports Betting USA, is an ideal place to get noticed by investors and business partners alike. Ideally, we’re looking for companies who are beyond the ‘concept phase’ but have only launched recently and, preferably, who are ready to deploy capital, as we feel companies at this juncture will benefit most from the competition and will truly possess the great ideas, great energy and the great dedication that’s required to transform ideas into reality." Featuring up to five start-ups, selected to pitch in front of an influential investment panel, the selected finalists will receive accolade, recognition and a free stand at ICE North America 2020.